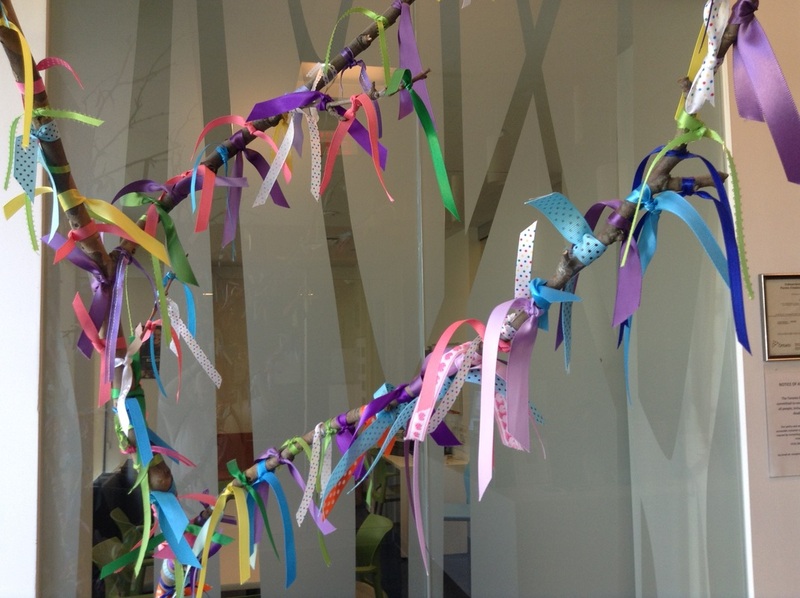 If you live in Toronto or the GTA and are expecting a baby I highly recommend a visit to The Toronto Birth Centre. Even if you are planning a hospital or home birth it is still worth a visit as it is a fantastic resource. The Toronto Birth Centre is cost free for any pregnant woman to use for labour and birth as long as she has a registered midwife and is having an unmedicated uncomplicated birth. It is one of two pilot centres (the other is in Ottawa) that will test a third viable option for labour and birth other than hospital or home. If the demand is seen to be there we may see more Birth Centres like this open in other Cities. There are three birthing rooms at the centre, they all have a shower and bathroom, large tubs, an adjustable bed and the beautiful painted mural on the wall. The tub can be used to relax and can also be used for water births. They each have a yoga ball available to use as well as TENS machines for pain relief. 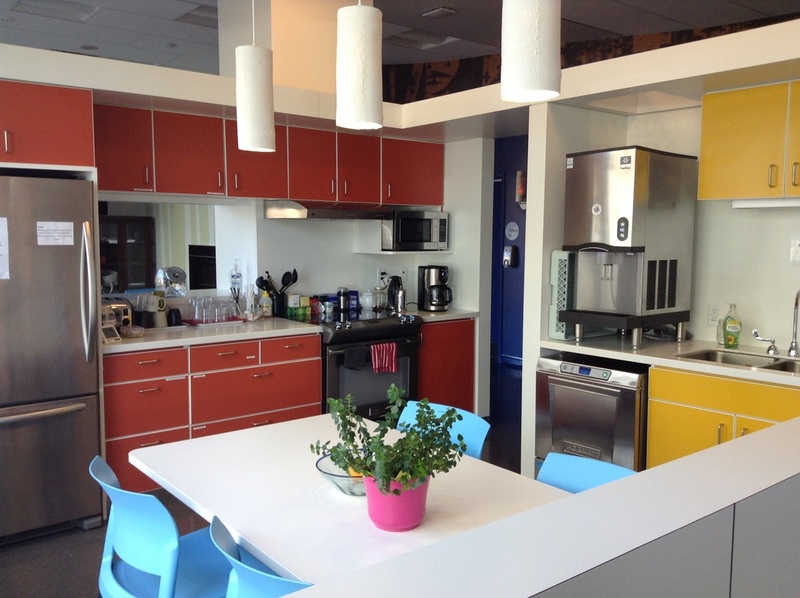 There is a fully stocked kitchen which can be used by the mother, midwives and family. 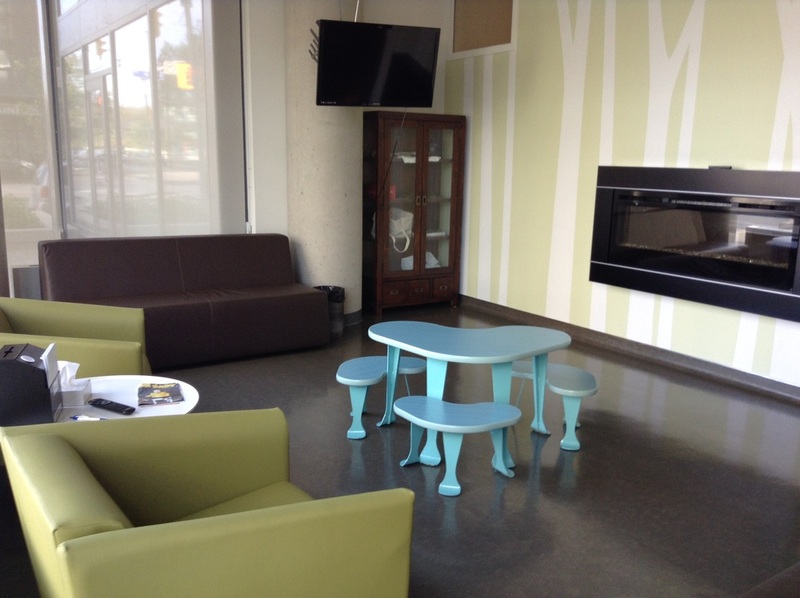 ​"I found the Toronto Birth Centre to be wonderful and accommodating. It was like a home birth but if my home were a penthouse plus the bonus of not having to worry about cleaning up. Super luxurious. I particularly enjoyed the self-serve kitchen, stocked with mostly organic food which proved to be greatly useful post-labour to refuel my energies and also for the midwife's team and my family which takes stress off leaving the labour to go hunt for a snack. The on-site amenities were amazing as well and I got great use of the tub, the shower, the remote-controlled bed, etc. And! They even had an audio output for a birthing playlist provided you made one. When I gave birth there, there was no one else using the facility; I felt more at ease. It was an amazing experience. Even though throughout my pregnancy, I got apprehensive about the facility not having on-site medical care in case of emergency, once I got there I felt safe and reassured that everything would be alright. The hospital was close-by if need be. I feel honoured to be able to have given birth in a facility available to diverse families especially Aboriginals. The artwork was gorgeous! It helped to tap into my primal instincts." Above is the family waiting area with fireplace and TV (they have Netflix)! In the cabinet there are healing and clearing herbs and plants sacred for Aboriginal ceremony; Sage for smudging and Sweet Grass for blessing. Families of non Aboriginal origin are welcome to use the sacred herbs if they wish. 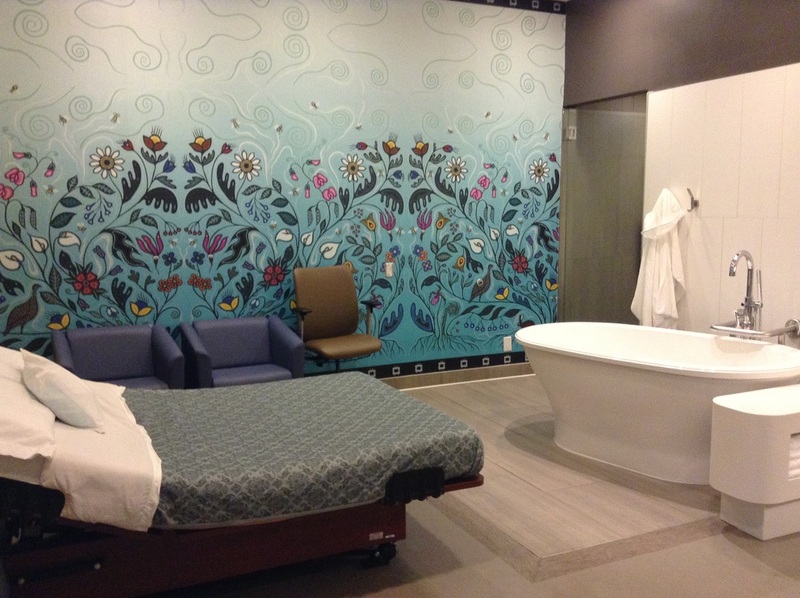 The incredibly powerful and beautiful mural art in each birthing room is a big hit with the moms, many of whom say it has helped them to breath through powerful surges by focusing on the flowers.